Coremetrics and Omniture are leading web analytics providers. Omniture was recently acquired by Adobe, creating quite a buzz in the business intelligence and web analytics arena. 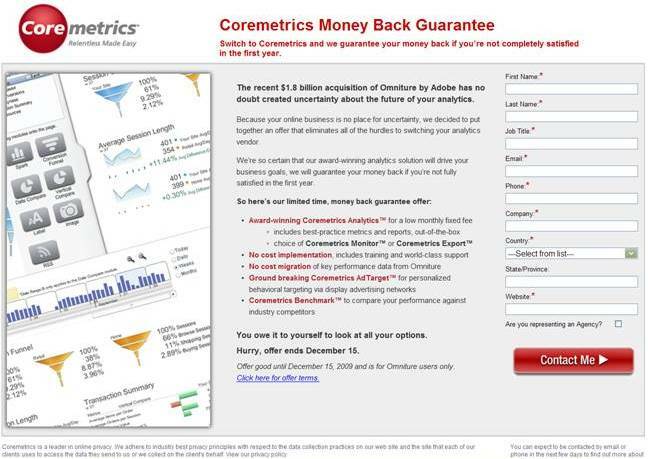 Today, I received the following offer from Coremetrics and Chief Marketer. Here is a link to the offer in the e-mail message. You can click on the image above to see the offer as well. Since you are all marketers or analytics experts, think about how you would answer the following questions, as they relate to your business. 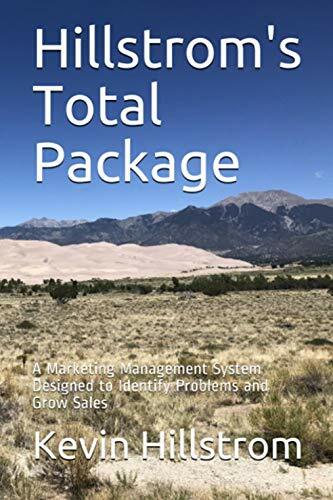 Question #1: Chief Marketer did not rent my e-mail address, sending the message on behalf of Coremetrics because of a previous opt-in / opt-out preference of mine. Is this an e-mail marketing strategy that is appropriate for your business? Describe why it is or is not appropriate. Question #2: I am not an Omniture customer. The offer in the e-mail marketing message only applies to Omniture customers. In your opinion, what benefits are obtained by the recipient in an instance where the offer cannot be redeemed by the recipient?